Evening Meals £10 pppn bookable by 10am on day required. Valentine’s Weekend Offer:- Doubles rooms with B&B from £110 (2 nights) £150 (3 nights). The Northdale , 12, Firbeck Avenue, Skegness, Lincolnshire PE25 3JY | Telephone 01754 610554. 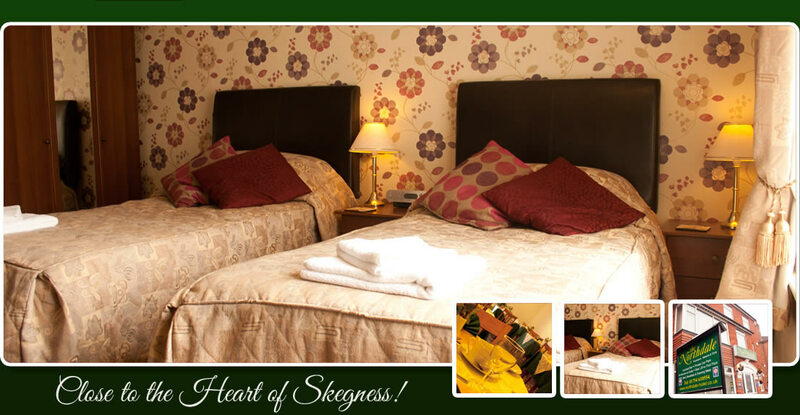 B&B in Skegness near the southern promenade, Skegness beaches, bowling greens, boating lake and Skegness town centre. We are only a short distance from the railway and coach stations.